Linda Igarashi is an associate in the Corporate Practice Group in the firm's Orange County office and is a member of the firm's Healthcare Team. Linda represents public and private companies, private equity firms, strategic investors, and other clients in a variety of industries, including healthcare, pharmaceuticals, financial services, and manufacturing in transactions involving mergers and acquisitions, debt financings, joint ventures, private equity investments and restructurings. 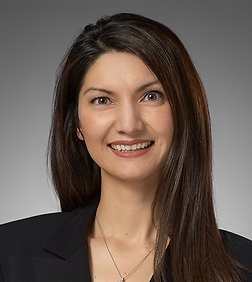 She is experienced in negotiating and drafting transaction documents, managing the due diligence investigation process, managing multiple stakeholder interests, and overseeing the transaction approval process. She also advises general counsels and senior management in connection with legal operational challenges and general corporate governance matters. CFIUS: Foreign Investment in the U.S.